Prof. dr. ir. Jansen, K.M.B. 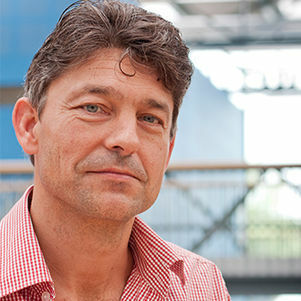 Prof. Kaspar Jansen received his MSc degree at Twente University. In January 1988 he started his PhD on injection molding at the Delft University of Technology. Part of his PhD research he performed at Philips Research Laboratories (1991). He received his PhD in March 1993 and worked for two years at the university of Salerno (Italy). After two more Postdocs he started working as an associate professor at the Delft University of Technology. First at the faculty of Mechanical Engineering and since April 2012 the IDE department. In October 2015 he started as the head of the new Emerging Materials research group. His research interests are: wearables, smart and interactive materials and their integration in design. A project focusing on cooling strategies for the Dutch Olympic team. New and innovative solutions for clothing which can actively control our body temperature. A new generation smart materials that can sense touch and respond with luminescence. A program focusing on injury prevention in sports.